Weird fiction is a subgenre of fiction that utilizes aspects of fantasy, horror, and supernatural fiction, while often featuring nontraditional alien monsters. Well-known weird fiction authors include H.P. Lovecraft, Arthur Machen, and M.R. James, while Edgar Allan Poe is often considered a pioneer. Machin’s book documents how the genre evolved from Victorian literature and conventional Gothic horrors into something more unique and contemporary. Machin’s book focuses on the history of weird fiction and its cultural contexts before the well-known author H.P. Lovecraft. Jared Neuharth: What defines weird fiction? James Machin: I think Lovecraft pretty much nailed it with his oft-repeated formulation involving a “certain atmosphere of breathless and unexplainable dread of outer, unknown forces.” Fiction that provokes and involves a more conceptual fear than that precipitated by threats to physical safety or straightforward revulsion. Other than that, there seems to be something approaching a consensus that it is a mode, rather than a genre—something that slips between genres. While undoubtedly most closely related with horror, it also engages with the numinous. I also think that a lack of narrative closure is one of its frequent identifiers. How did you become interested in weird fiction? I think my interest is fairly unremarkable in that it was greatly informed by playing role-playing games (rpg) from when I was about ten or eleven years old. I’d always been drawn to the ghoulish side of things, but discovering Lovecraft by playing the rpg ‘Call of Cthulhu’ really sent me down a certain path – it was through Lovecraft that I got to Arthur Machen, Algernon Blackwood, and myriad others. I was also lucky enough to grow up in a house full of books, so when I found out about, for example, Poe or M.R. James, I could usually simply take the book down from a shelf. And of course I took that privilege for granted at the time. Why did you focus on authors between 1880 and 1939? The period is usually understood to be a period of transition in literature and culture more generally, but the specific date range in the title was really a way of encompassing the book’s more specific focus on the connections between 1890s decadence and the writers of the Weird Tales era. 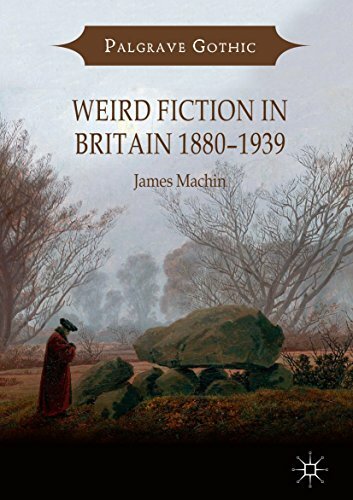 It’s certainly not a comprehensive survey of the weird fiction of that period, though I’m by no means the first to discuss a distinct period of weird fiction using that date range: weird fiction scholars like S.T. Joshi and China Miéville have already done so, Miéville using the term ‘haute Weird’. An impetus for the book was my disagreement with the wider assumption that weird fiction is reducible to the Weird Tales writers of the 1920s and 1930s, the most famous of those being Lovecraft, of course. What is the difference between “artful” and “horrific” weird fiction? One of the arguments in my book is that the term ‘weird fiction’ is now used to make just that distinction, and implies an artfulness or literary quality in specific genre writing while neatly avoiding the déclassé implications of the word ‘horror.’ Writing in the 1890s, John Buchan was already discriminating between what he considered to be ‘mere horror’ and ‘legitimate art’. And just to be clear, I’m simply identifying this use of the term, rather than making any specific judgement about it—some writers, such as Ramsey Campbell, have rightly argued that resistance to the word ‘horror’ is more the result of snobbery than anything intrinsically wrong with the horror genre itself. This is further complicated by the fact that ‘weird fiction’ also brings with it the implication of slippage between genres, which in and of itself indicates writing that surpasses (at least in this way) the more rote iterations of various genres. Nearly every day I was there! I blogged for the Center website about a great Lovecraft letter I found. Though that was probably the most immediately exciting discovery, it didn’t have too much bearing on the book. Much more pertinent was the John Lane archive—the British publisher closely associated with the Decadence of the 1890s. Reading the correspondence between Lane and writers like Machen and Shiel gave me a unique insight into the literary and publishing fields of the time—I was specifically looking for clues about what people thought about genre and how those views informed what was getting written and published. I was also delighted to find John Buchan’s 1890s reader reports for John Lane, in which he fed back on manuscripts submitted to the publisher for consideration. Buchan really digs down into some of the key concerns of my book (e.g. what made for ‘good’ supernatural fiction) and offered some very considered and theoretical opinions on the subject. The 59 years your book spans cover quite a variety of cultural change and literary style. What are some similarities between the different authors’ writings? The emphasis of my book is very much on similarities and continuities, and may therefore contrast with some Modernist scholarship which emphasises the breaks (as indeed the Modernists themselves did!). I looked through an almost complete run of Weird Tales magazine in the 1920s and 1930s, and was astonished to find the quantity of nineteenth-century material (usually Gothic or Decadent) it reprinted. A poem that might have initially appeared in an exclusive British literary journal or ‘little magazine’ in the 1890s was being reprinted a couple of decades later on cheap pulp paper for sale at American newsstands for a quarter dollar. 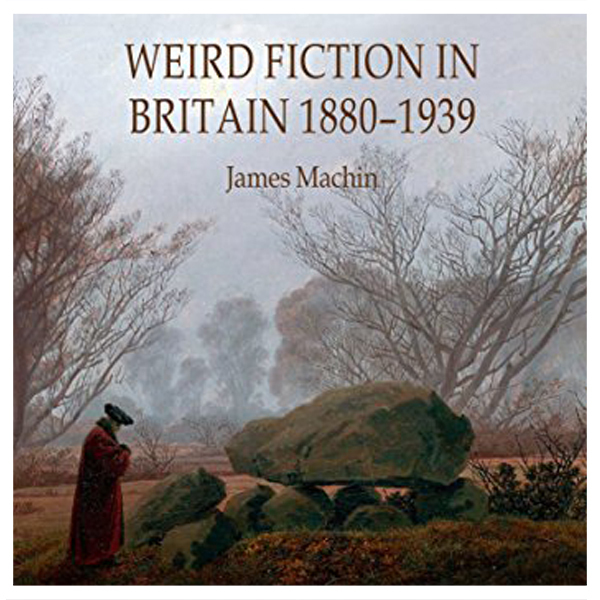 I suppose the overall argument of the book is that whether it was regarded as literature in the late-Victorian period, or low culture in the early twentieth century, weird fiction was an identifiable tradition, and one that has had an enduring impact on genre fiction and wider culture.